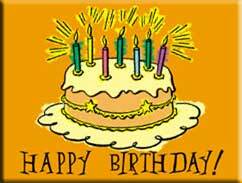 It's my birthday - with The Jive Aces! What Darrell says about the Jives! Over $26,600 raised so far! Need dancing? Can't afford it? We'll work it out! 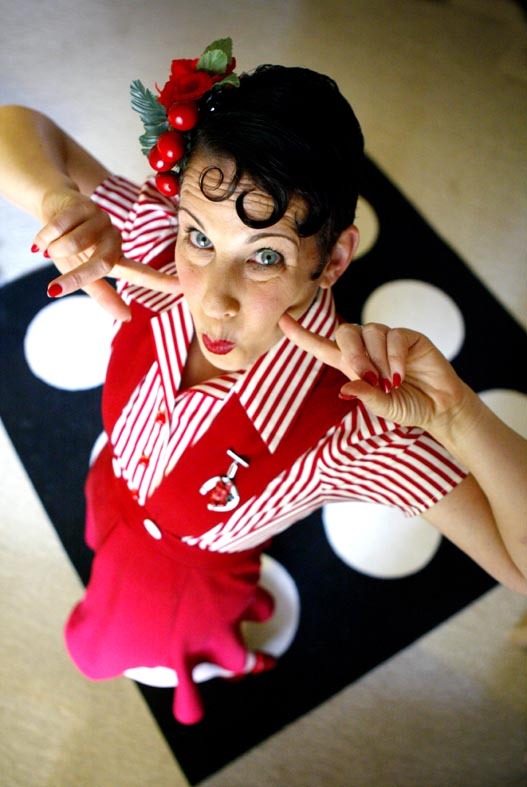 Jive Aces play for Rusty's B-Day THIS Wednesday! "Dancing can reveal all the mystery that music conceals." AND I'LL DANCE IF I WANT TO! 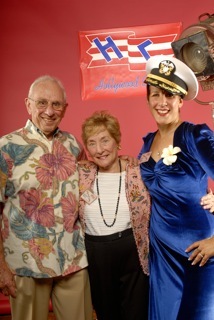 Okay, I guess there are benefits of running your own swing dance club, eh! And sometimes you just get really lucky. 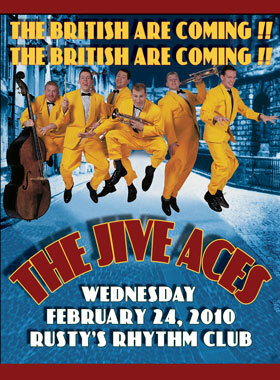 Boy, oh boy, did I get lucky for my B-Day dance this Wednesday getting Britain's premier swing band - THE JIVES ACES! I've known the boys since 1996, when I first began performing Lindy Hop in the UK. We've been great pals ever since. I even laid down the taps on their recording of "Singin' In The Rain." We always have a great time when they're in town, as they are just the most fun guys you can imagine, making friends wherever they go. See ya all THIS Wednesday!!! We have a new regular at Rusty's Rhythm Club, she's 11 years old, and her name is Becca. And without exception, this kid gets more dances than anyone out there. I was watching her last Wednesday, and I was so taken how she fearlessly gets those dances. She just marches up to leader after leader with a big, glowing smile on her face and asks the guys to dance. They are all levels from beginners to super advanced, and she just thoroughly enjoys every single dance. At the end of the night, she ran up to me exclaiming, "I danced 31 dances!!" So, ladies and gentlemen, let's all learn a little something from Becca -- dance dance dance with that great big smile on your face! A lot of people having been asking about my dad, and, I am so happy to say, that he came home on Valentines Day. He's slowly getting back his strength, and he couldn't be happier to be home. Thanks again for all your care and concern. 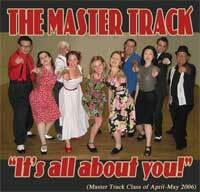 The next Master Track class is set for March and April 2010. There is only 1 leader spot open. As this course is limited to 6 Leads and 6 Follows, please let us know as soon as possible if you would like to be in this next Master Track - EMAIL NOW. Rusty and Ron work with each of the students individually and as a group in a series of exercises and challenges. The students are filmed each week, and the footage is studied as a group (in Lindy By The Sea's traditional upbeat, encouraging, and friendly environment) to examine individual areas of goals and progress. At the end of the eight week course, each student is presented with a DVD of their own dancing to track improvement and set goals for future development. 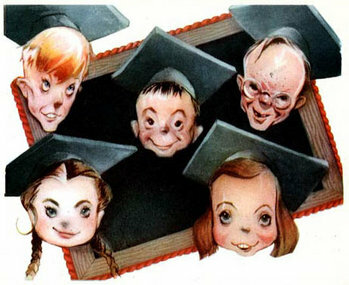 The class is held from 9-10pm on Tuesday nites, and will start on March 9th 2010. The total cost for all eight weeks of classes is $100/per student, including the personalized DVD. *Students should be versed in the Lindy By The Sea curriculum prior to this joining this course (Levels 1-3 and at least half of the Track). Sometimes a girl just get lucky -- and, boy howdy, did I get lucky this year with the Jive Aces being in town right at the time of my birthday. As they are simply one of the liveliest and most entertaining bands on planet earth, I guess I can pretty much be guaranteed a grand birthday dance. And, you'll have a GREAT time, too! 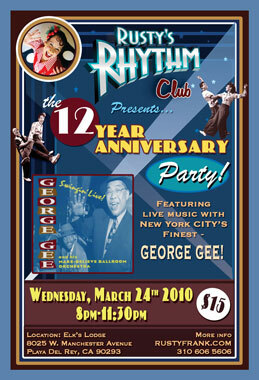 Hard to believe yet another dancing year has gone by and this is the 12-Year Anniversary of Rusty's Rhythm Club. But, yes indeed, it is! And we hit the jackpot with this one... we got George Gee all the way from the Big Apple. This is not to be missed! Mark your calendars right now and let's all celebrate together. so you can get your birthday dance! BE PROUD TO SAY: "I SUPPORT LIVE MUSIC!" After you watch this one, take a little search for yourself on Youtube, and there you'll find hours of great Jive Aces' clips! Here're some more clips for thos with a little extra time! It's a new year ~ everyone play! 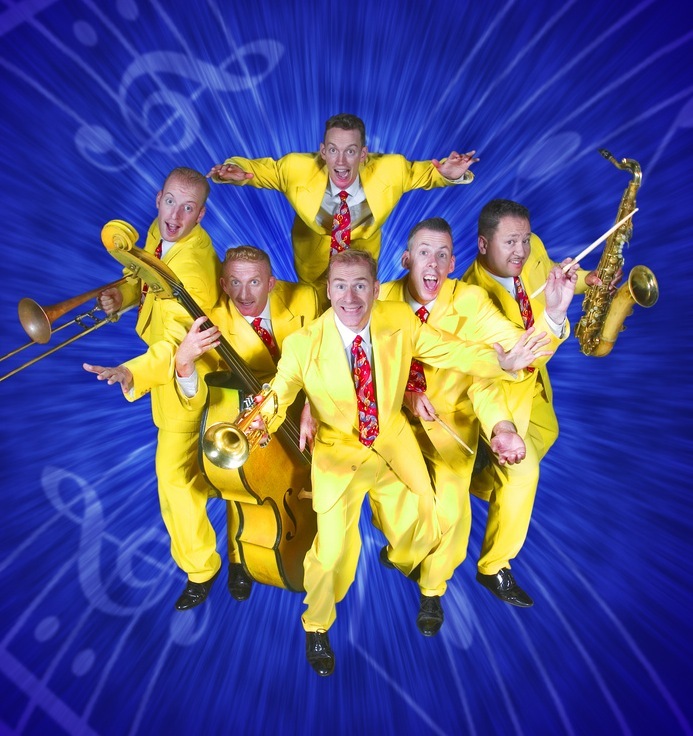 What year did the Jive Aces play their first concert? Send your answer to us at info@rustyfrank.com. Only the weekly winner will receive a response to their Contest Answer. NOTE: Google is your friend! All the answers are only a Google search away. Have fun and learn about our swing history at the same time. Wednesday (Feb 24), we've got a great band from the UK for Rusty's. 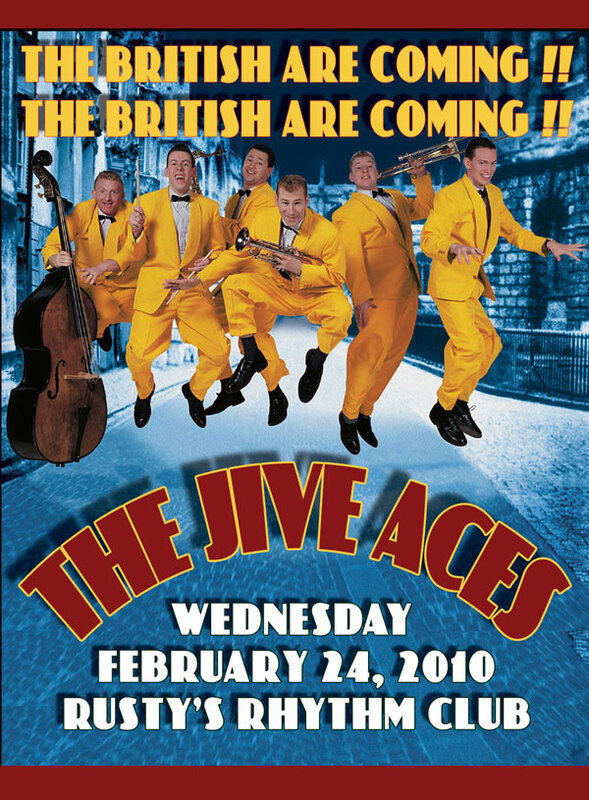 Name all the Jive Aces and which instruments they play! *Contestants may play as many times as they wish, but may only win the prize once a year. Contestants must use their Rhythm Club pass for the week they won the contest. EMAIL RITA IF YOU ARE INTERESTED IN PARTICIPATING! I am attempting to contact Mary Crest in Culver City for April. 1. 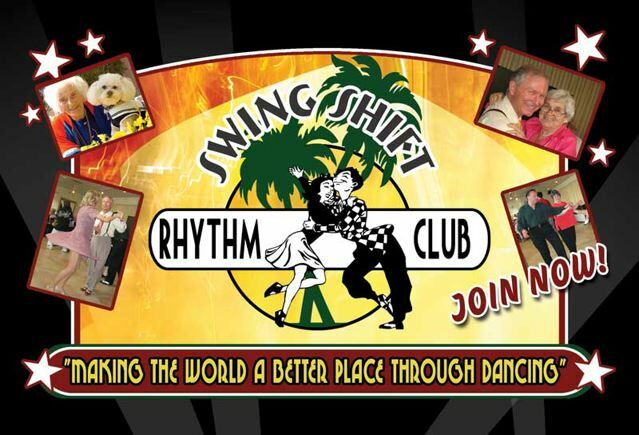 Join our Facebook page "Swing Shift Rhythm Club"
The Hop For Haitis are still in the pipeline, but we're already up to over $26,000. With four more Hops, I feel certain that we'll break $30,000! If you still would like to contribute to our Hop for Haiti campaign, CLICK HERE. 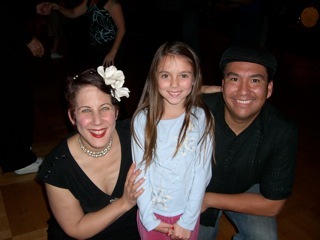 The Dance-A-Thon is a 24 hour swing dance that takes place in Orange County, California. The mission: to raise as much money as possible to help fund cancer research and treatment at City of Hope Hospital. All of the participants, board members, bands, teachers, DJ�s, and performers are unpaid volunteers. 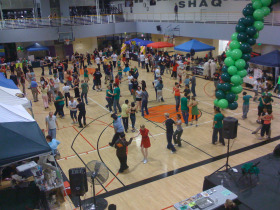 The 2010 Dance-A-Thon will take place March 13-14 from noon to noon. Please use this website to participate or donate. The 24 Hour Cancer Dance-a-Thon has an full lineup of events planned throughout the 24hour period. The Dance-a-Thon has fun contests, like the annual Shirt Cutting Content, always a crowd favorite, and the boogie steps relay. Also plan on dance performances, dance instruction, continental breakfasts, group Photo commemorating the event and many more fun events yet to be scheduled this year. You are allowed to come early to set up your team area (pop-ups, displays etc..), and the official event kicks off at noon! Keep your eye on this page as the event draws closer for a continually updated schedule of events. LOST YOUR JOB? TOOK A PAY CUT? Every now and again, people just disappear from our scene who have been regular dancers. I wonder why. Did they get married, did they move, or did they suffer some financial hit. ~ I am happy to work out trades... you could sit at the door for a bit at the Rhythm Club in exchange for the dance that night. ~ Find me at the Rhythm Club, and just pay what you can. ~ I'll give you some Rhythm Club passes until this era blows over for you. ~ And the same thing goes for all Lindy By The Sea classes! I know that dancing really helps in hard times. So don't be a stranger! We'll work it out to meet your needs. 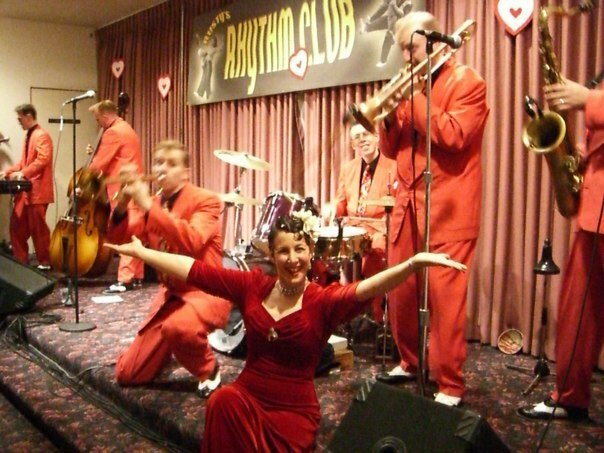 JiveAces.com Take a look at their website and see just how lucky we are to have them at our very own club THIS Wednesday. I started these Facebook pages to give all of us a chance to network, to know what's going on, to set up carpools, post photographs, videos, etc.